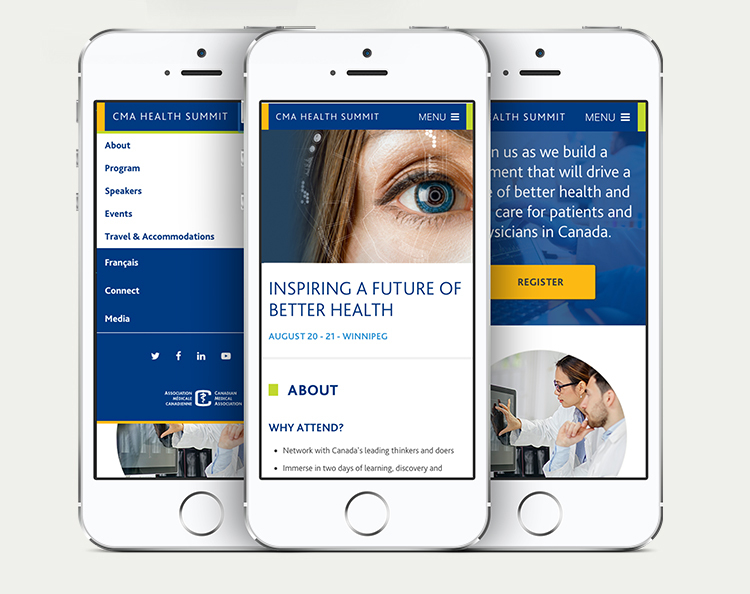 The Canadian Medical Association (CMA) needed to develop a website for their inaugural Health Summit in August 2018. The event features a star roster of leading Canadian thinkers and doers, and famous Canadian Chris Hatfield as one of the keynote speakers. It will provide an opportunity for attendees to join experts in conversations on how technology, innovation, AI, and robotics can enable patient-centered care and drive better health. Probably the biggest challenge, however, was that the site needed to go live in 3 weeks. Working within such a tight schedule is always a challenge, and clear and focused planning is key. 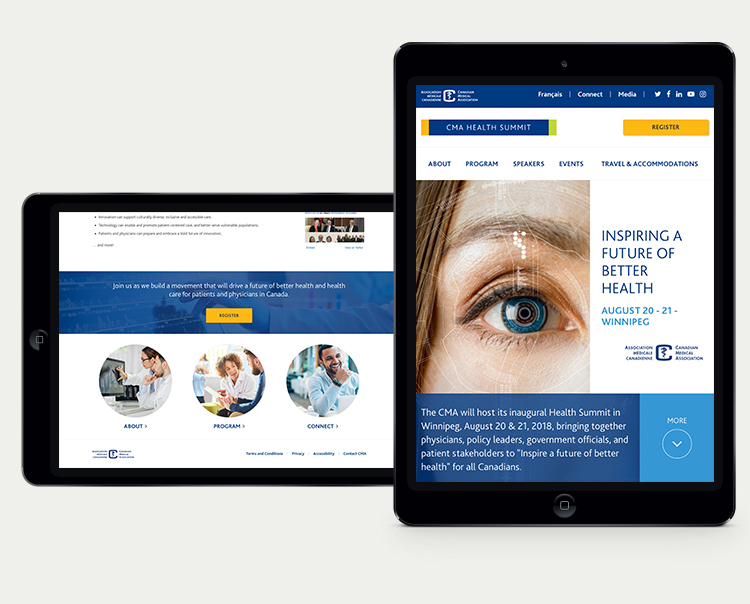 After going over the list of resources, content, and requirements provided by CMA, we reviewed several options on how to tackle the project noting the urgency of the launch date, and the need to deliver a high-quality site without compromise. We considered solutions such as Squarespace for the site and Eventbrite for the registration flow. Both fantastic tools, they would enable us to quickly and easily put together a beautiful, robust site. However, after further discussions with the client and digging deeper into the specific requirements, we determined we needed a bit more flexibility. We needed flexibility in the design and didn't want to risk wrestling with a pre-defined solution. The registration process required various conditional workflows, requiring additional customization. The site had to be extremely easy to maintain and manage content from a user-facing perspective. We had a very short training window to get the client up-to-speed. Luckily, CMA is an incredibly dedicated client who is extremely engaged and offered their team's availability and support whenever we needed it. They provided us clearly documented feedback and answered our questions with lightning speed. With their help and our team's deep experience with adapting WordPress, we were able to rise to the challenge. The site was delivered on time, within budget, and included all specified project requirements. CMA was an incredible client to work with, and we look forward to working together on future projects together. The Canadian Medical Association unites over 85,000 members physicians on national health and medical matters. 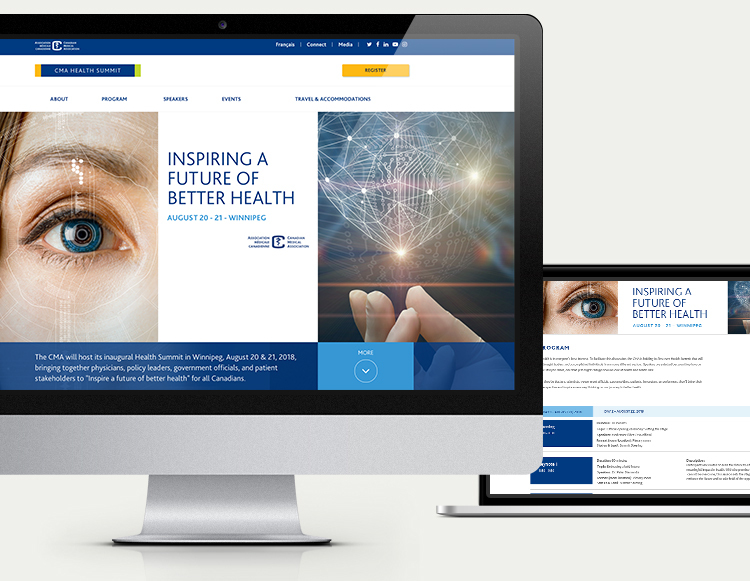 Formed in Quebec City in 1867, the CMA’s rich history of advocacy led to some of Canada’s most important health policy changes.